If you do not want your guests to bring any presents but want to say it nicely, use these adorable inserts with your invitations. 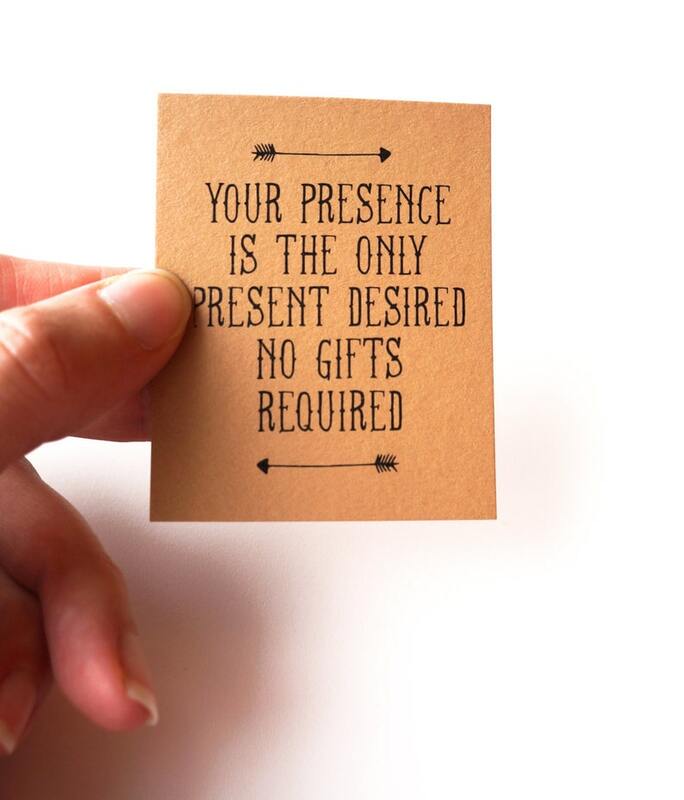 Insert reads: " YOUR PRESENCE IS THE ONLY PRESENT DESIRED NO GIFTS REQUIRED". Insert measures 2" x 2.5" and comes with 16 inserts per 8.5" x 11" sheet. This file has the black print only. When printing your file, you get to choose which color paper you would like to use! A gray cut line has been included to help with trimming. If you wish to purchase the inserts already printed, the cost is $.25 each with FREE SHIPPING! !